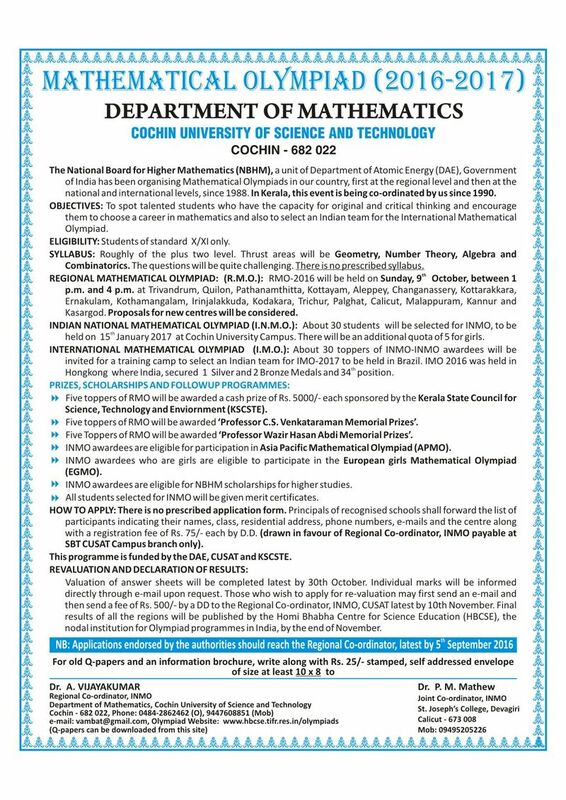 The National Board for Higher Mathematics (NBHM), a unit of Department of Atomic Energy, Government of India has been organizing Mathematical Olympiad in our Country, first at the Regional level then at the National and International levels. 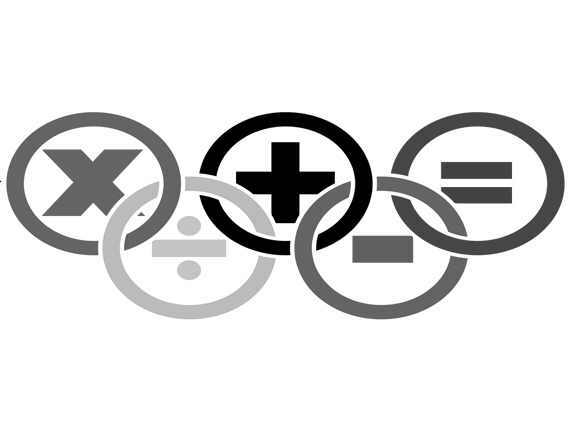 Its main purpose is to spot talented students who have the capacity for original and critical thinking and encourage them to choose a career in mathematics and also to select an Indian team for the International Mathematical Olympiad. The Regional Mathematical Olympiad 2016 (RMO-2016) for Kerala Region will be held on Sunday,October 9, 2016 between 1PM and 4PM at Trivandrum, Kollam, Kottarakkara, Pathanamthitta, Alappuzha, Kottayam, Changanassey, Ernakulam, Kothamangalam,Thrissur, Irinjalakkuda, Palakkad, Kozhikkodu, Malappuram and Kannur. XI students and exceptionally good Xth standard students are eligible to appear for RMO. There is no prescribed application form. 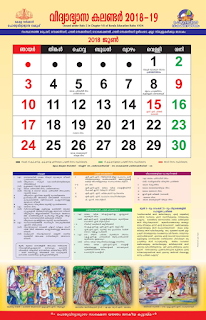 Principals of recognized schools shall forward the list of participants indicating their name ,class,residential address,phone numbers,emails and the center along with a registration fee of Rs. 75/- each by D.D. drawn in favour of Regional Co-ordinator, INMO payable at State Bank of Travancore , CUSAT Campus branch only. The last date for sending the completed application form along with the Demand Draft of all the students participating from school is 5th September 2016.